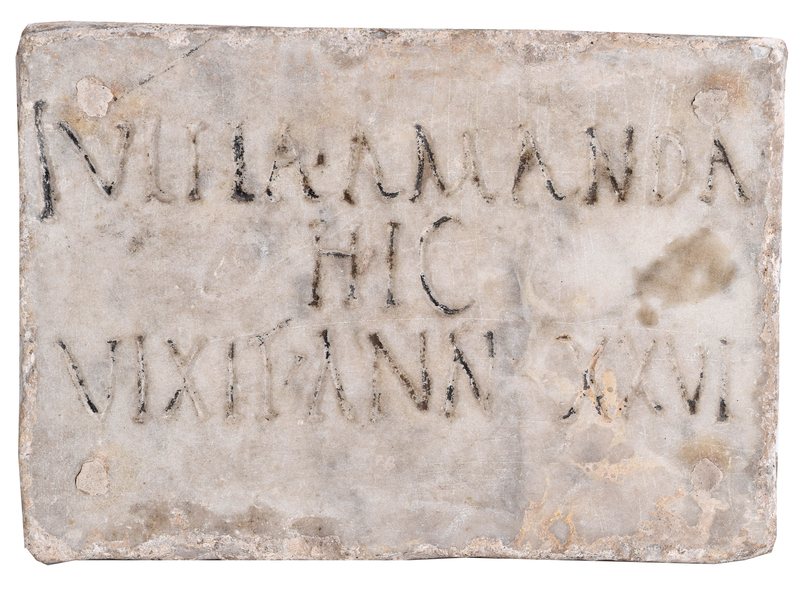 An ancient roman inscribed marble panel, 9” x 6 1/4” and 1 1/4” beige marble, appears to read (in Latin): “VIIIA - AMANDA - HIC - VIXIT - ANN XXVI” The plaque also bears four holes at the extreme corners, now filled, where the plaque was once affixed to a wall. Very good condition, ex: Kenneth W. Rendell, Ince. 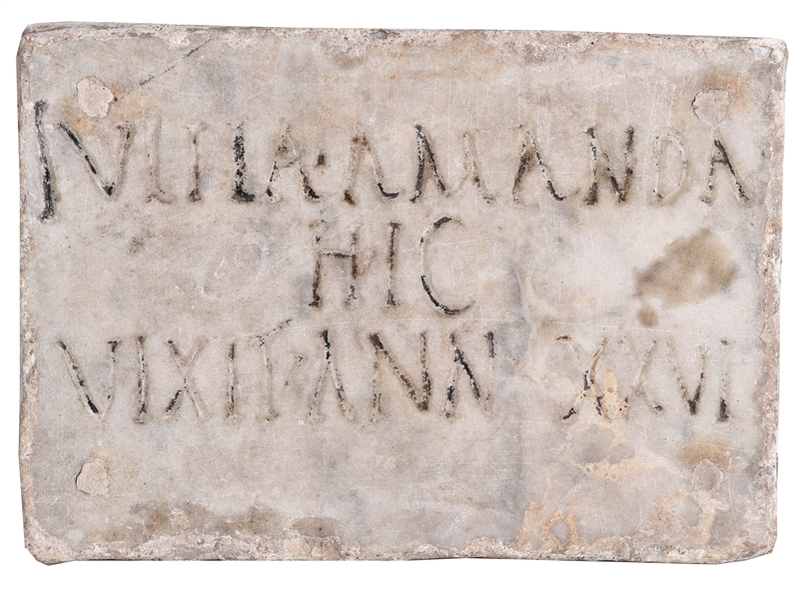 was the original consignor of this item.